Sorry, this giveaway has ended. Missed this giveaway? Head over to Common Sense with Money on Friday at 2:00 pm CT – she’s giving away 400 Fiber One Yogurts too! It’s a filling healthy snack! I love that it’s only 50 calories with 5 grams of fiber and 0 grams of fat. It fills me up – and feels like I’m really indulging in a sweet treat. My favorite flavor is Key Lime Pie. Other flavors include Peach, Vanilla, and Strawberry. Click on the “Foods” category and everyone can print this coupon twice. Look for a sale and you may be able to get your yogurt at half-price! Remember that to print it a second time you need to look toward the end of the coupon list (it moves after you print it the first time). Need more coupons? Just click on the ad at the top of this post to access more. Freebies 4 Mom Giveaway Disclosure: Yoplait sponsored this giveaway by providing the coupons to give away and the information about Fiber One Yogurt. I did not receive any form of compensation for posting this giveaway. For more information about how reviews and giveaways are conducted on Freebies 4 Mom, please read my Disclosure Policy. its actually TODAY at 2…so in like 10 min. not tomorrow..on the common sence with money site…………..
how we will get the coupon? Wow that didnt last very long. I sat and waited but had no luck. It should be opened again and given to more people. I actually couldn't get the form to pop up in Firefox. The Flash image itself loaded, but nothing happened when I clicked on the green box. However, I was able to pull it up in IE, so it all worked out. Thanks so much for this giveaway! Holy cow! They are gone already. it's only been FIVE minutes! holy cow! They are gone already. in FIVE MINUTES. wow! Rats! 1:04 and already gone! Tried to get one and used Firefox but it wouldn't let me click on it. Thanks! I was able to get one. Got one! 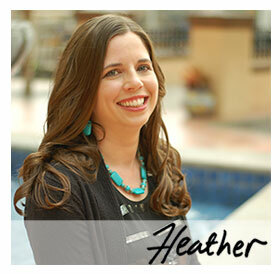 Thanks so much Heather! got one! thanks so much! Yeah! Thanks I was able to snag one!